Completely renovated with 2 bdrms, 2 baths, solarium and flex space in sought-after Tribeca Lofts. 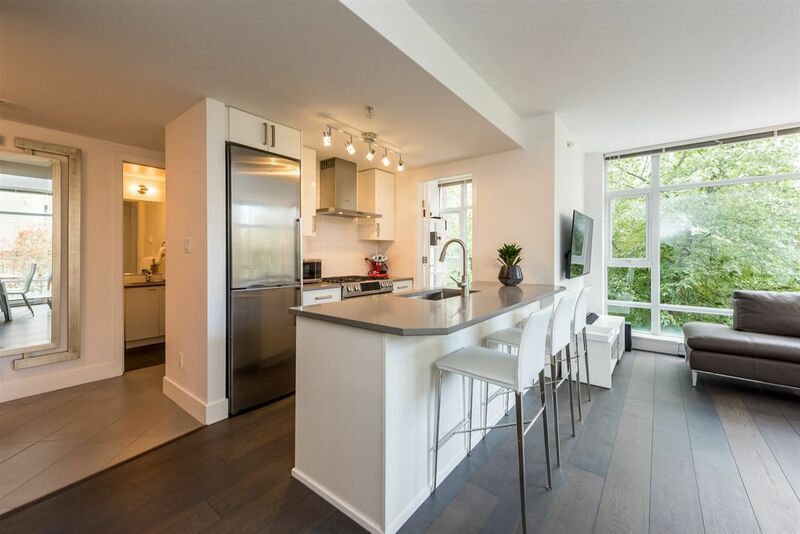 This property exudes elegance and sophistication - brand new Merit Kitchen featuring natural quartz counters and Bosch Stainless Steel 800Series package (with gas/electric range), new bathroom counters, sinks and fixtures, Siberian Oak engineered h/w floors and LED lighting throughout. This is a bright corner unit with floor to ceiling windows, exposed concrete walls, 8-1/2' ceilings, secured u/g parking and storage locker. 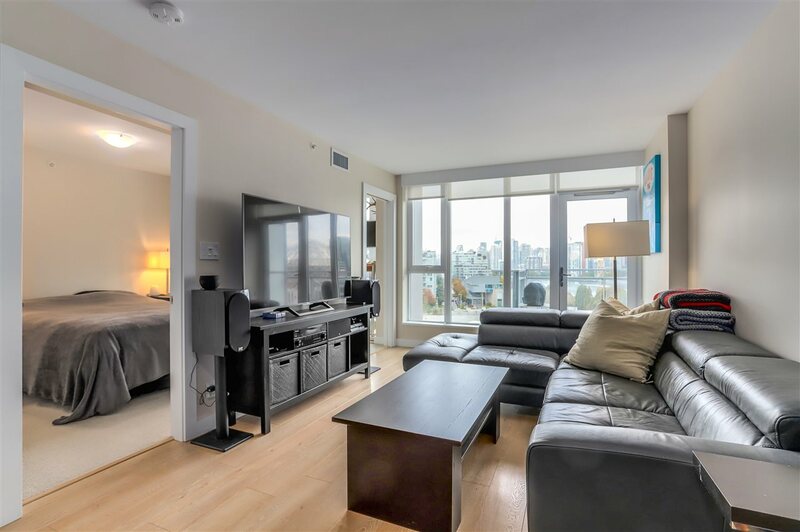 Outstanding location, walk to Canada Line, David Lam Park, Seawall, Roundhouse Community Centre, coffee houses and some of the best restaurants our beautiful city has to offer. Pets and rentals welcome.